 Welcome to Next Level Paleo with Nicole Gillespie. Nicole is a Certified Primal Health Coach & Keynote Speaker specializing in Paleo & Ancestral Health. After being confronted with declining health, but being told by her Doctor she was fine, Nicole set out on a mission to regain her energy and vitality. Food & Lifestyle were the obvious choices. Diagnosed with the autoimmune disease Hashimostos & Lyme Disease Nicole set about completely turn her life around by adopting a Paleo diet and focusing on downsizing and minamalising their lives. Nicole & her husband Stewart own and operate an Vintage Restoration business called My Sister’s House. She lives with Stewart & her 2 teenage Children in Rockhampton Qld. Australia.